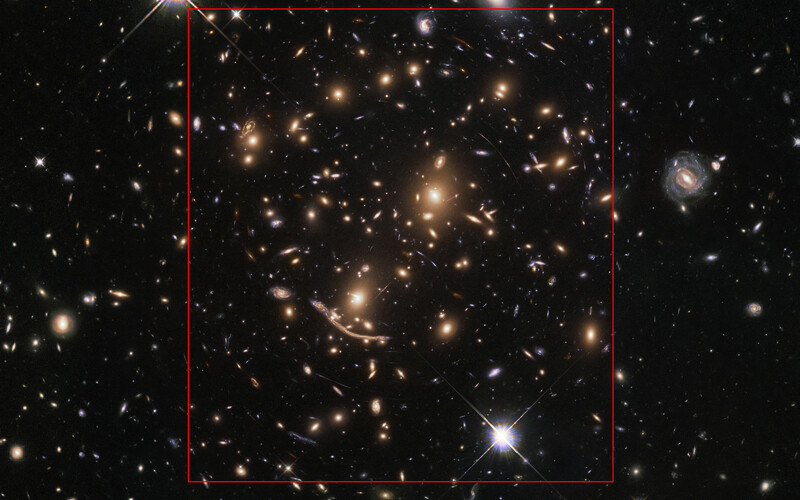 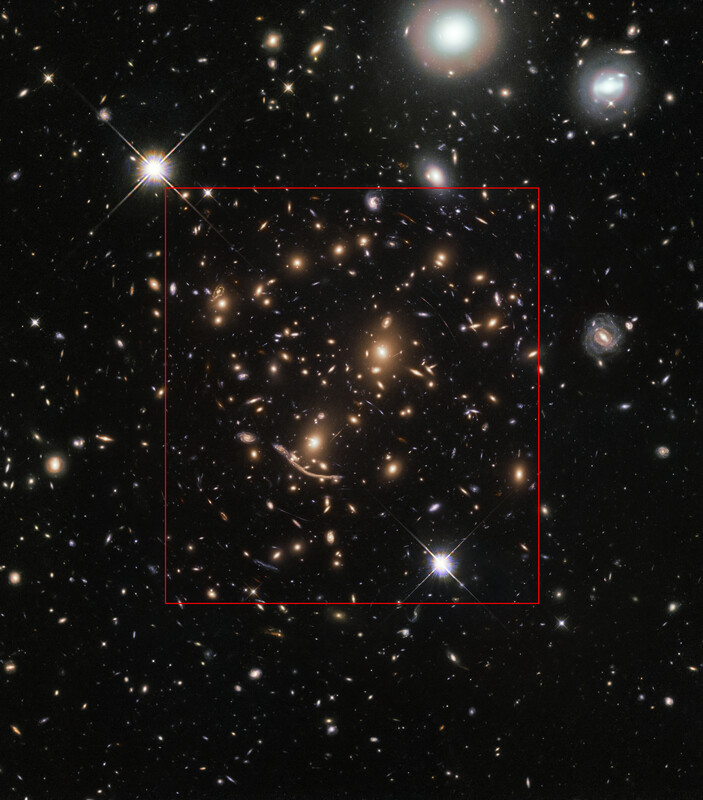 This image composite shows the new observations of Abell 370 made for the BUFFALO project, as well as the old observation made for the Frontier Fields programme. 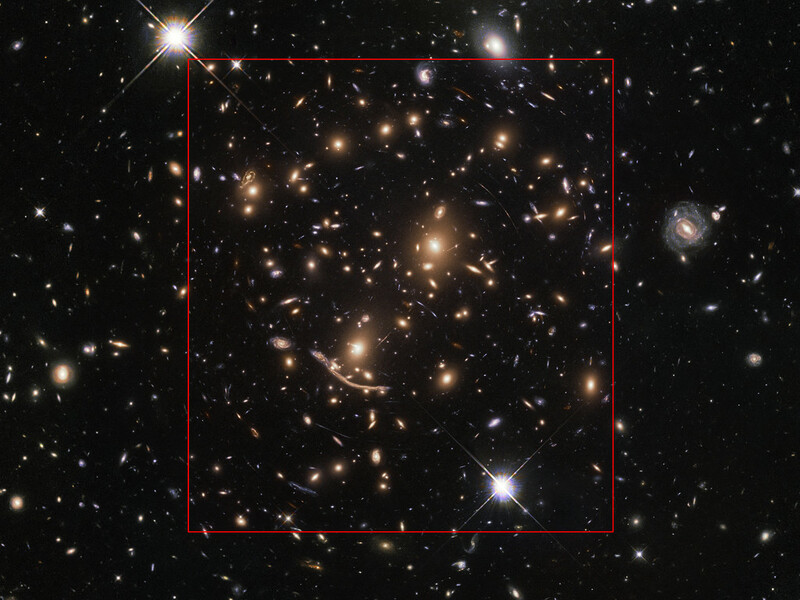 The composition clearly shows the extended field of view in the new observations. 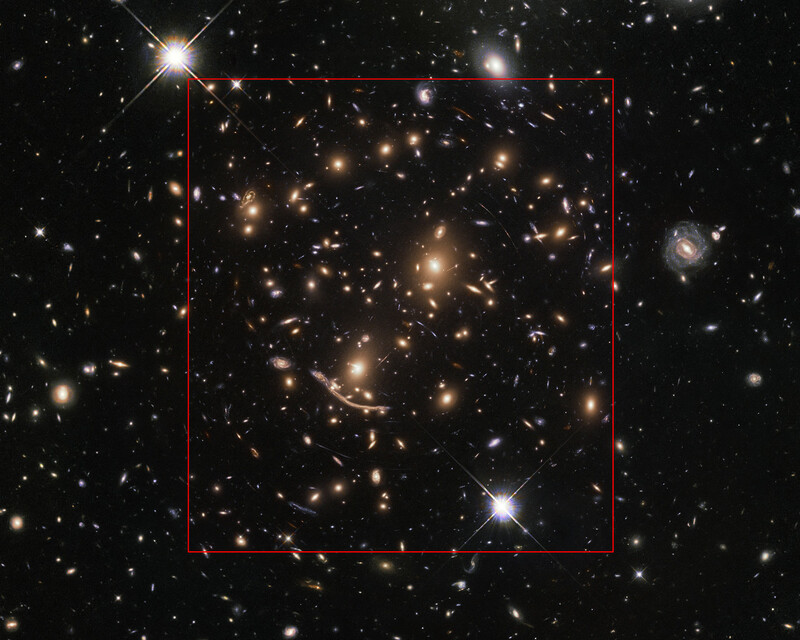 NASA, ESA, A. Koekemoer, M. Jauzac, C. Steinhardt, the BUFFALO team and HST Frontier Fields.